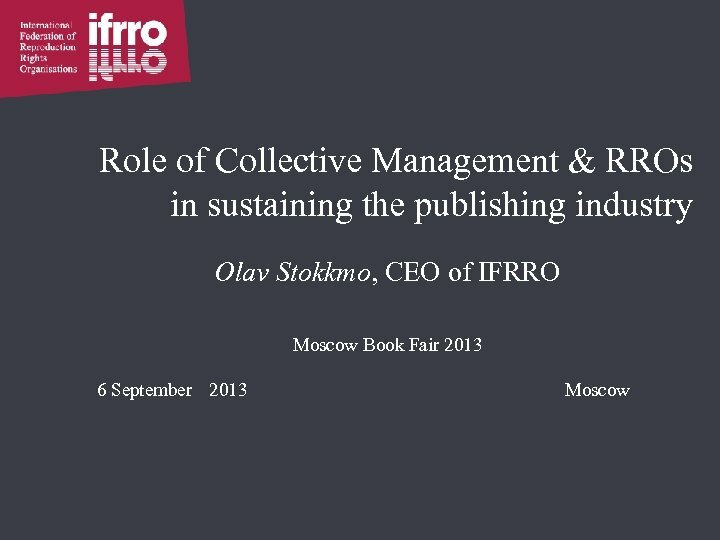 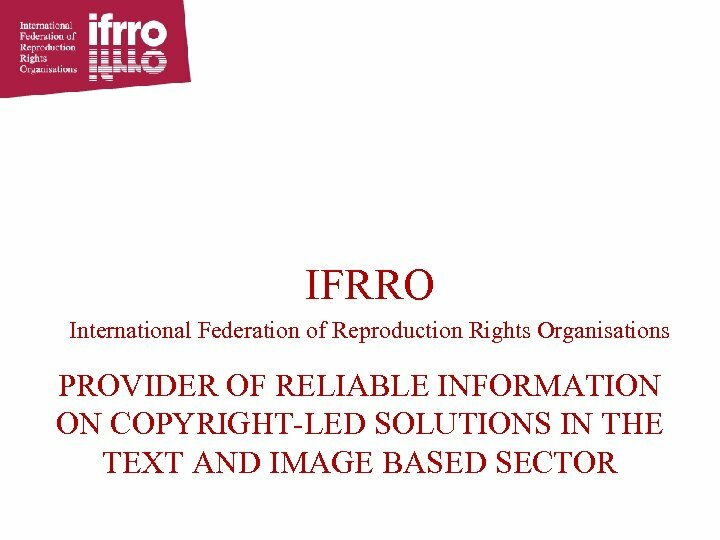 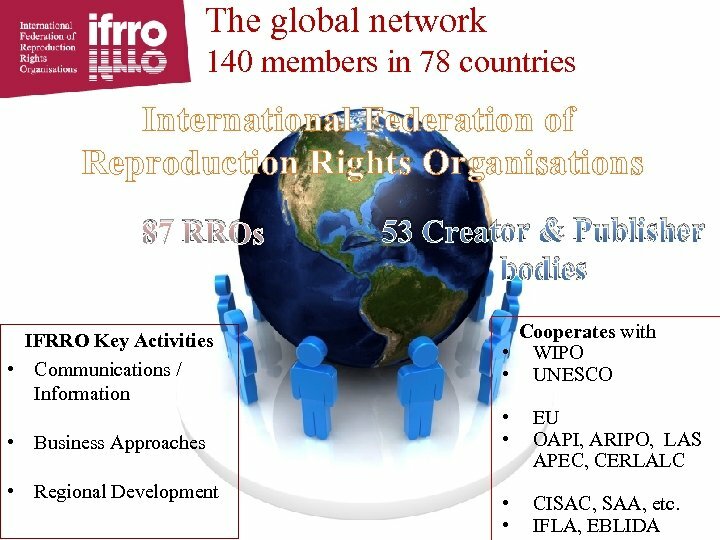 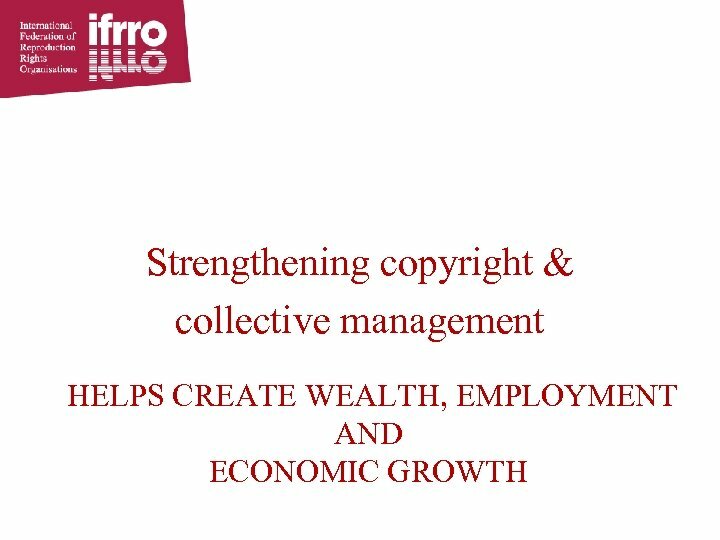 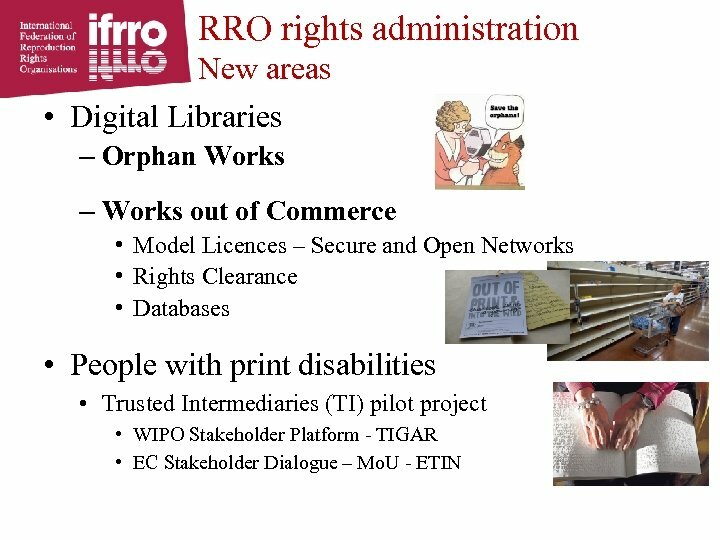 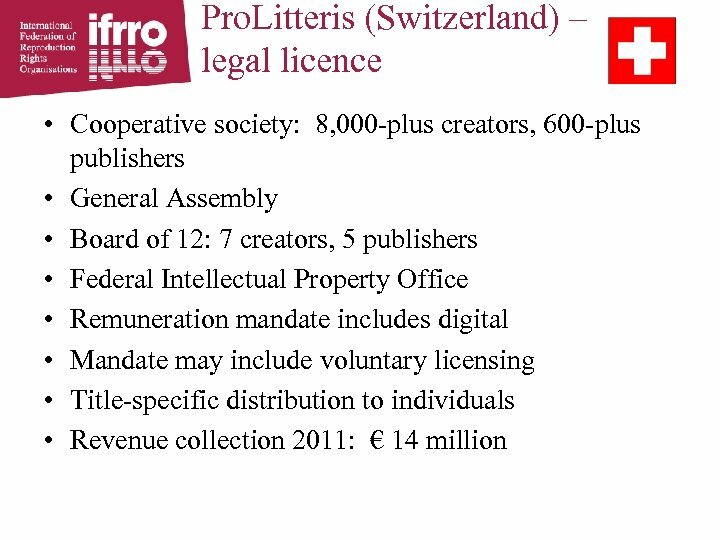 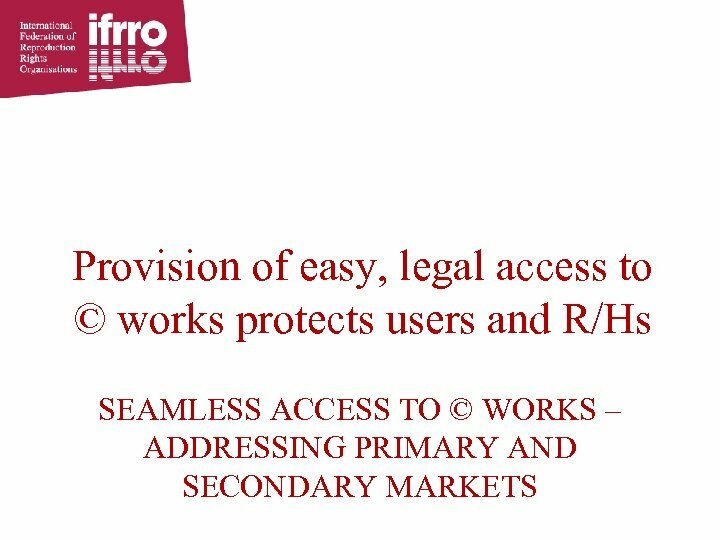 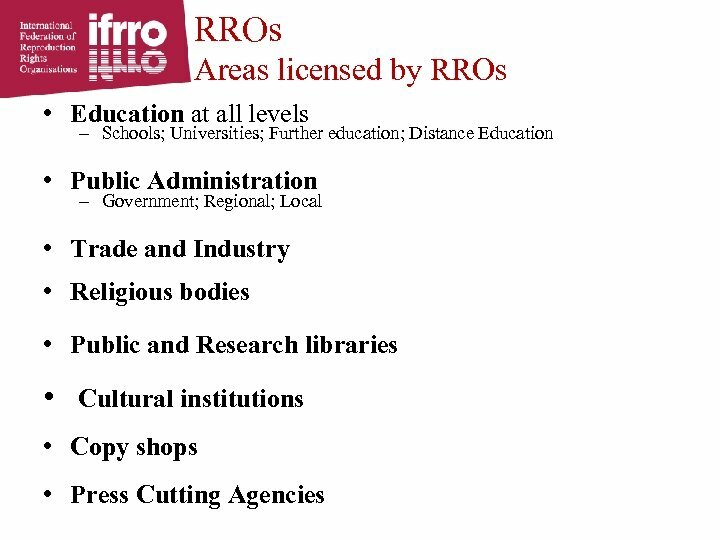 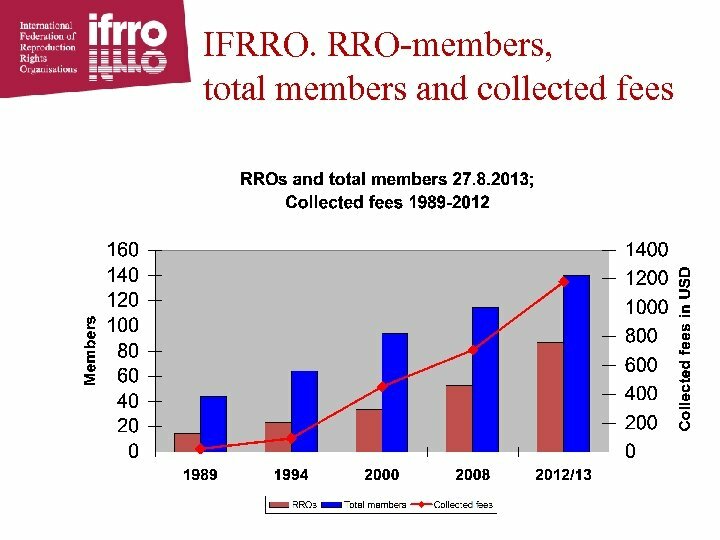 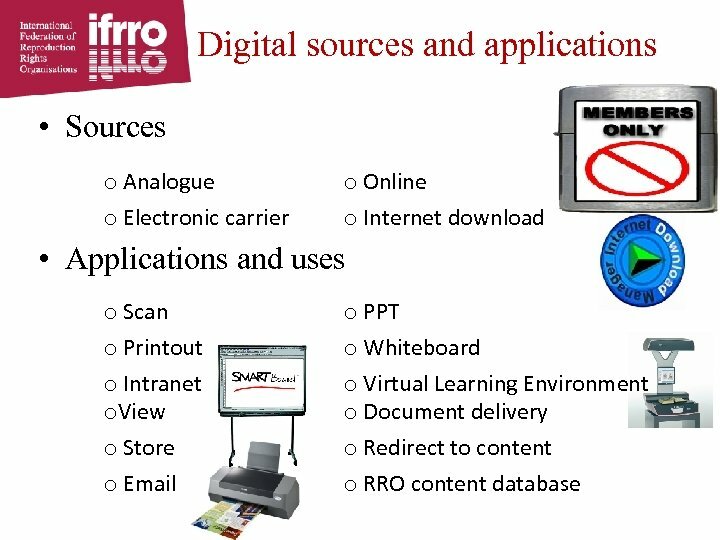 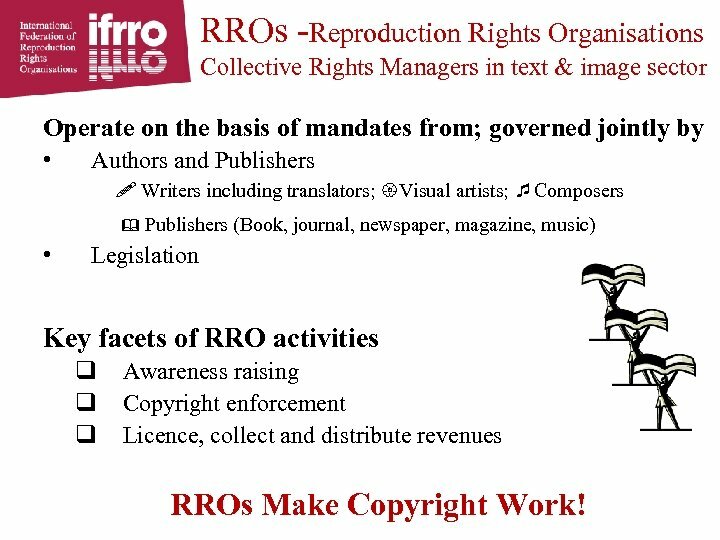 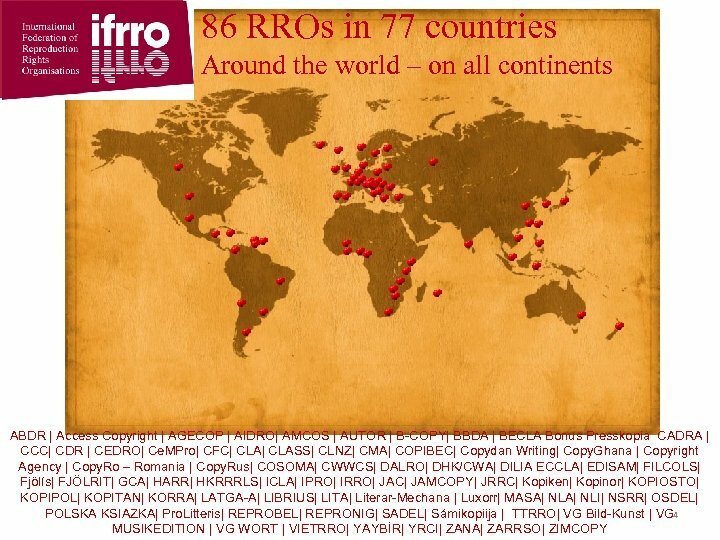 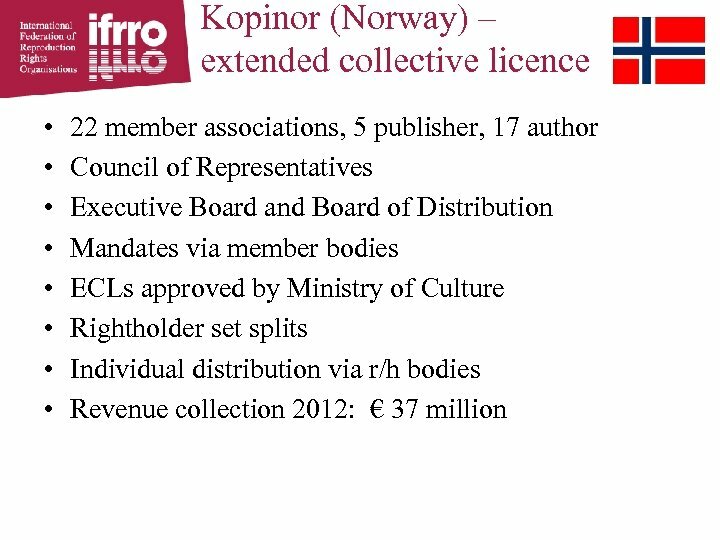 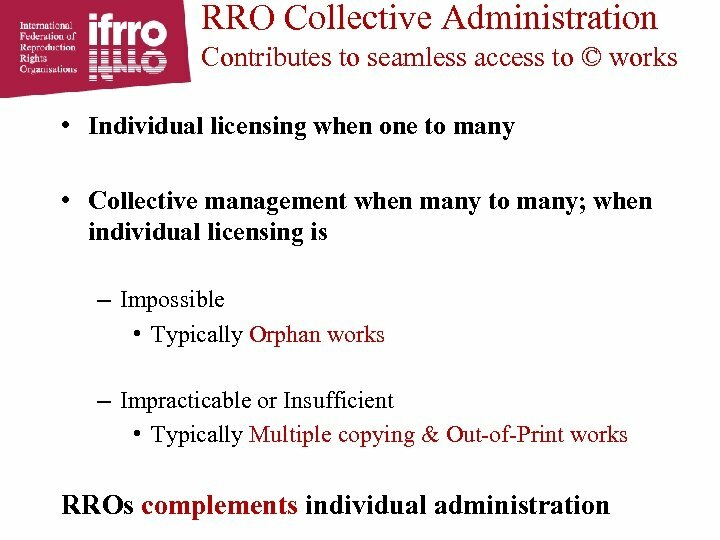 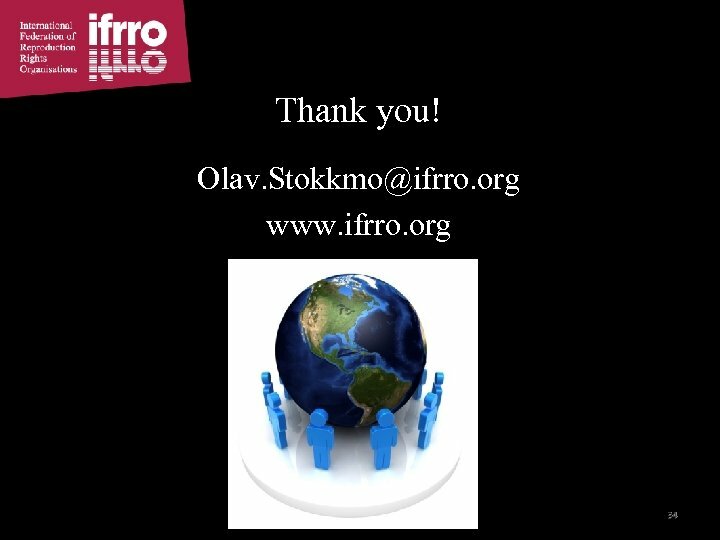 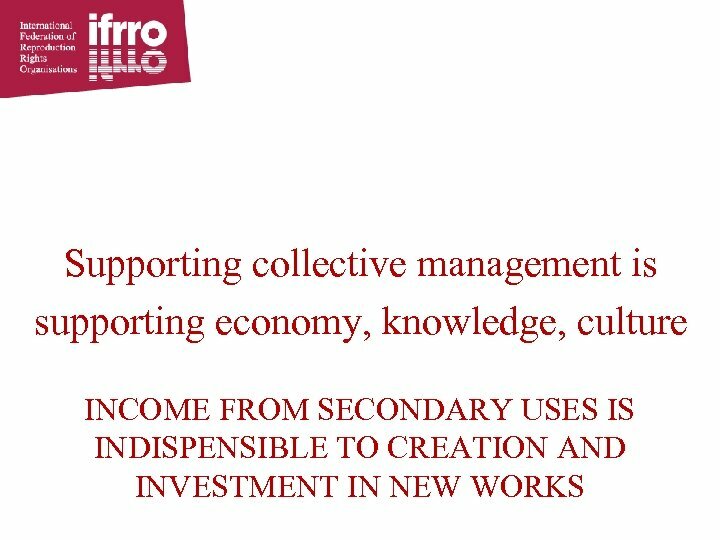 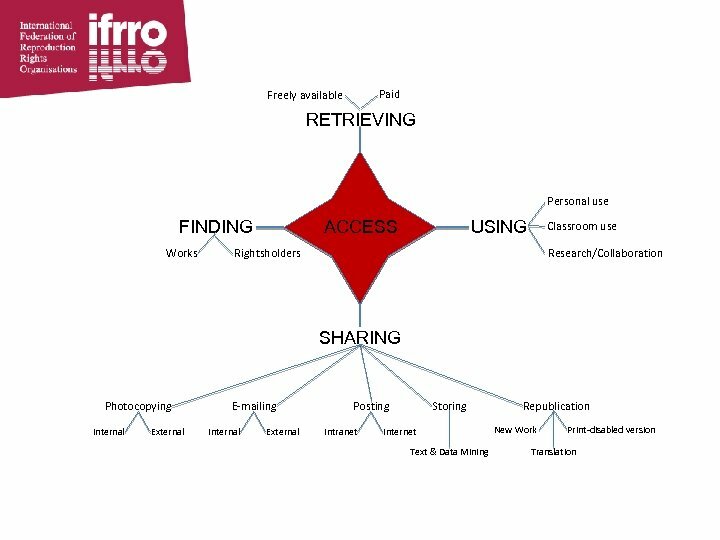 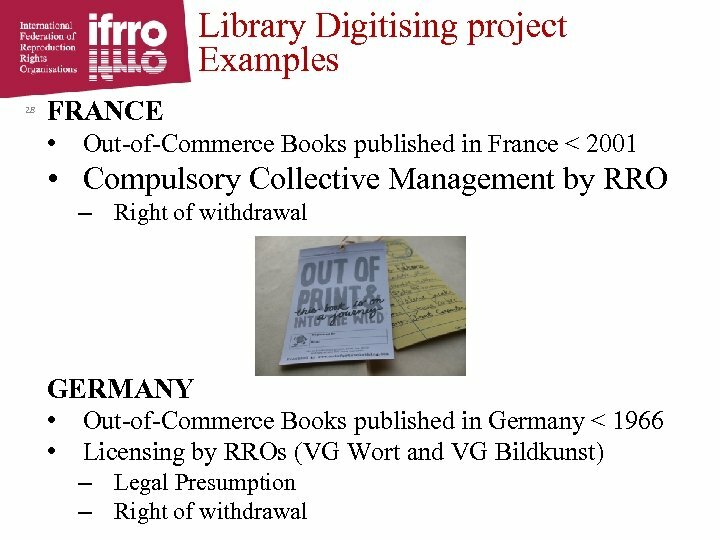 RROs -Reproduction Rights Organisations Collective Rights Managers in text & image sector Operate on the basis of mandates from; governed jointly by • Authors and Publishers ! 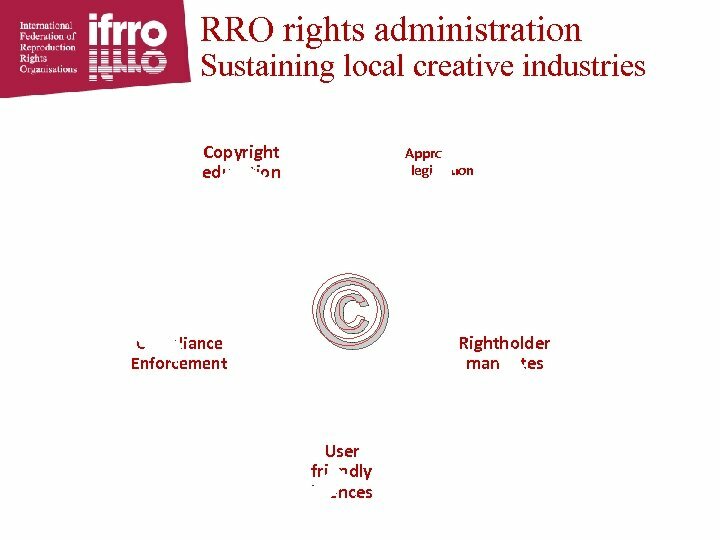 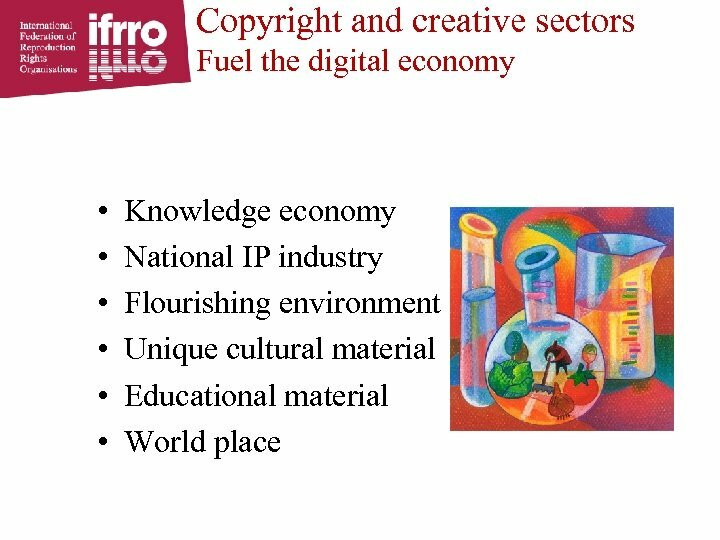 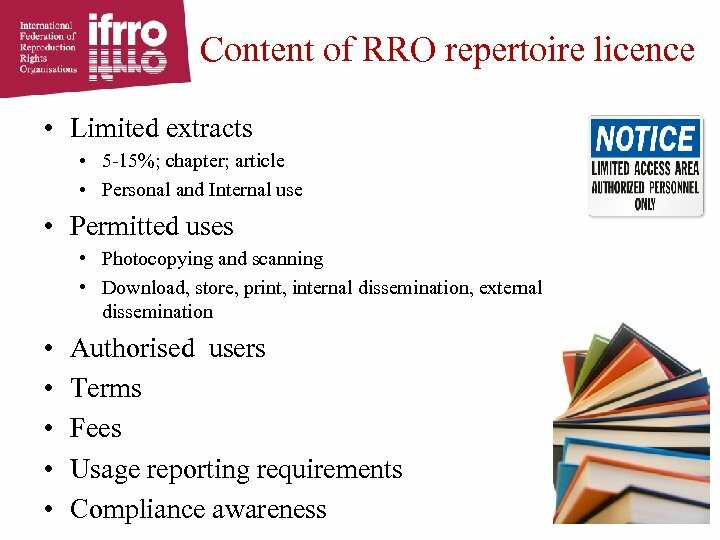 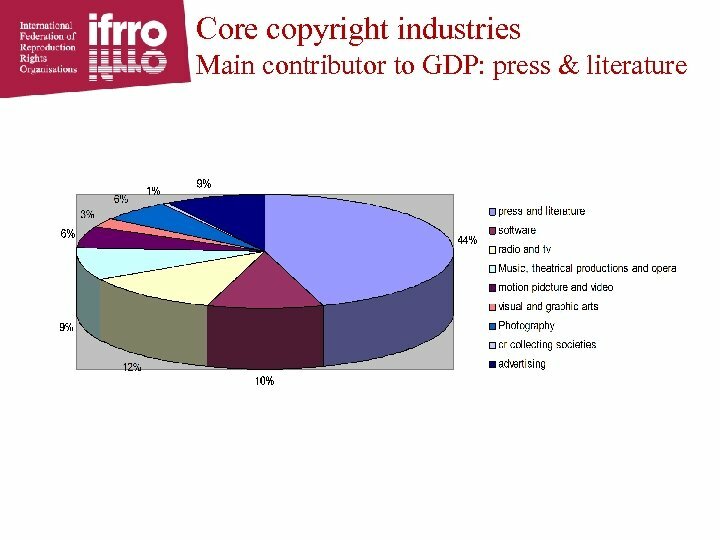 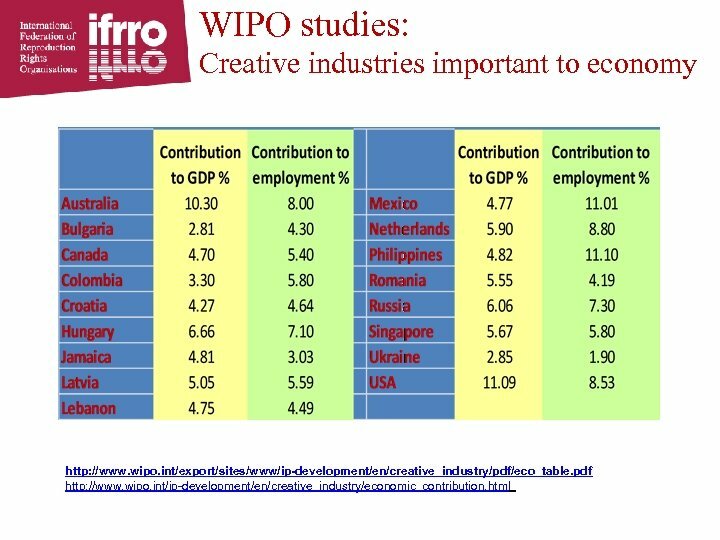 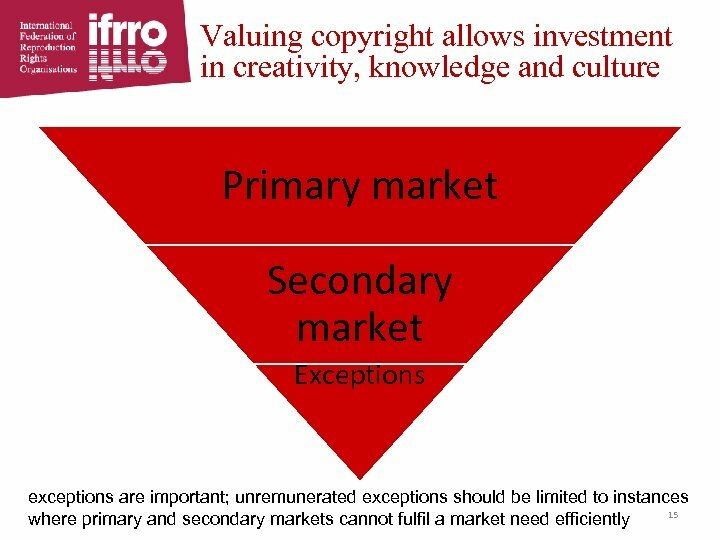 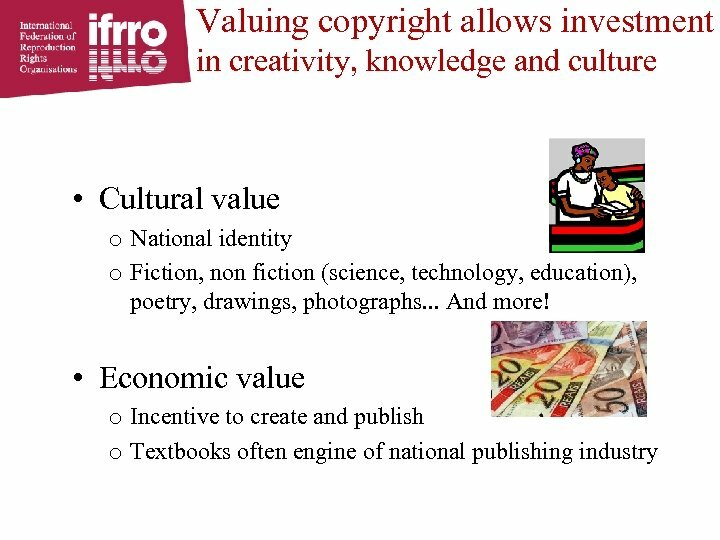 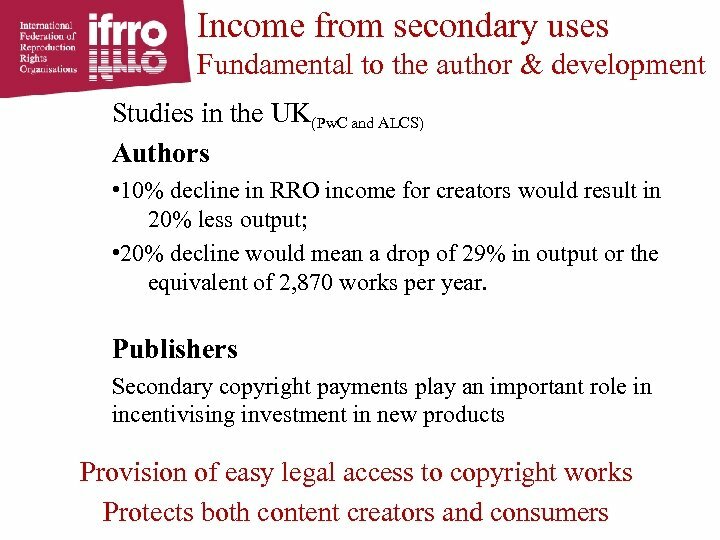 Writers including translators; Visual artists; Composers Publishers • (Book, journal, newspaper, magazine, music) Legislation Key facets of RRO activities q q q Awareness raising Copyright enforcement Licence, collect and distribute revenues RROs Make Copyright Work! 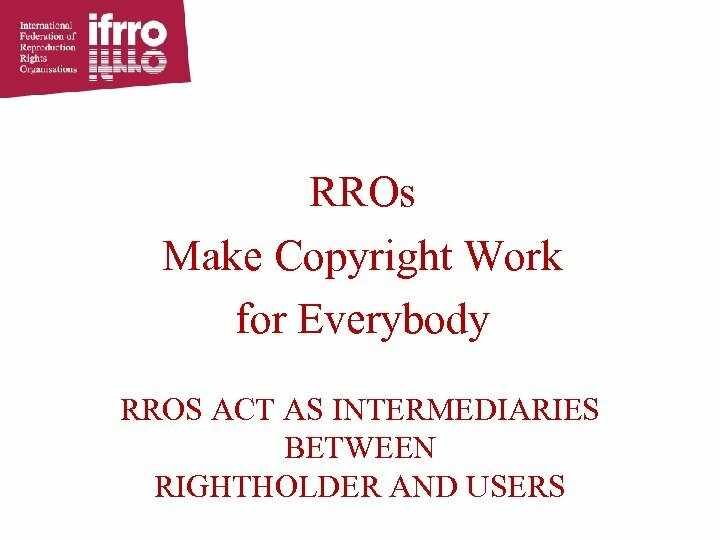 Copyright A Fundamental Human Right! 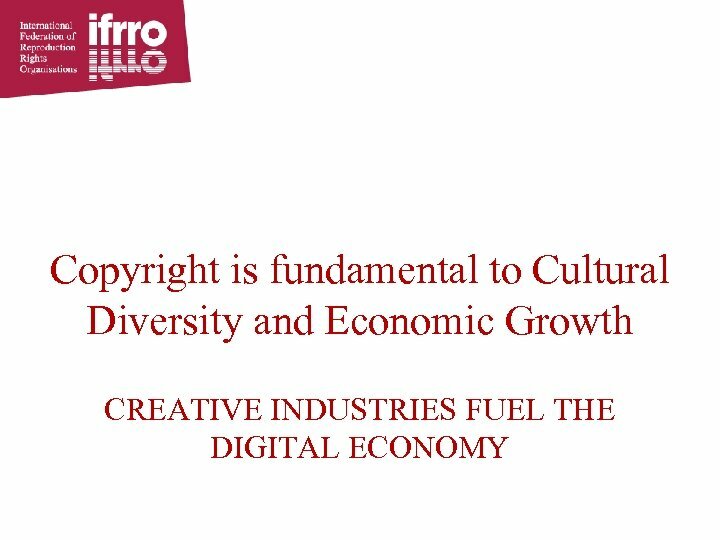 Jaron Lanier virtual reality • Fundamental problem: Web being free obscures the fact that people created all this data • Much of the danger to middle-class professionals stems from Internet’s hostility to ownership of knowledge • Restore the value of data ( Jaron Lanier: Who owns the future) A world that values knowledge values its creators! 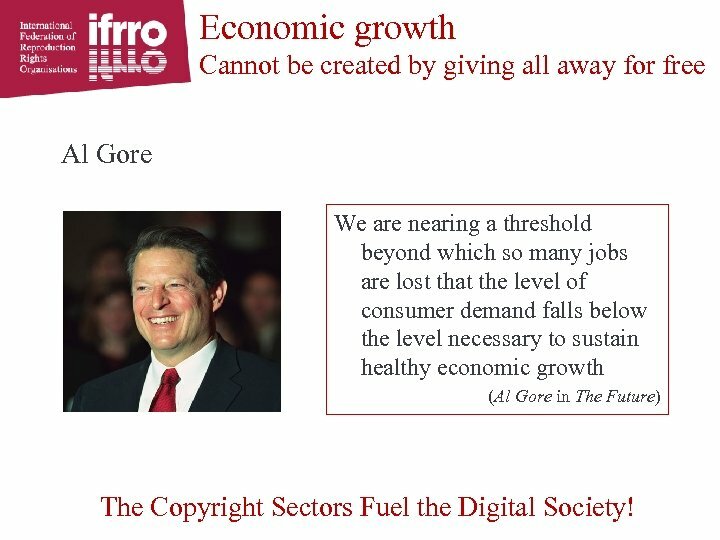 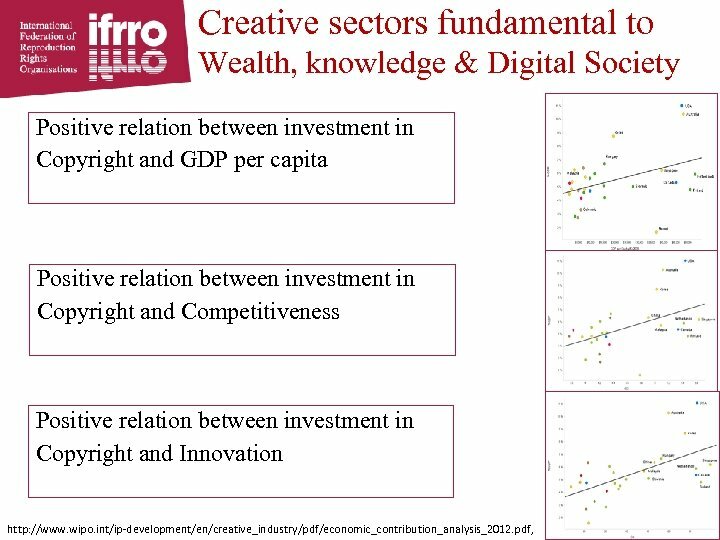 Economic growth Cannot be created by giving all away for free Al Gore We are nearing a threshold beyond which so many jobs are lost that the level of consumer demand falls below the level necessary to sustain healthy economic growth (Al Gore in The Future) The Copyright Sectors Fuel the Digital Society!